Railway Protection Force (RPF) Constable Ancillary Recruitment 2019. 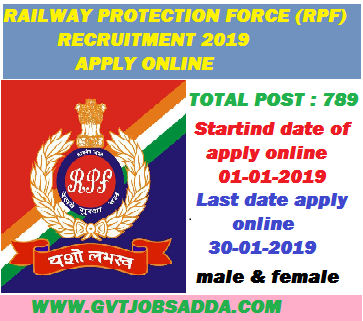 For more details about RPF recruitment 2019 read official notification. Candidates Pass 10th (High School) From Recognized board or university.